A woman named Lorraine comes to in the parking lot of an amusement park, as if snapping out of a trance. Her young son has left his stuffed bear in the Atlantic Island Park, and she reluctantly trudges back to the grounds to retrieve it. Never mind the fact that the park is closed. And never mind the fact that it’s seemingly abandoned. In The Park, players are in for a short and disturbing psychological ride that deals with depression, loss, and the dark feelings that parents might not discuss in polite company. 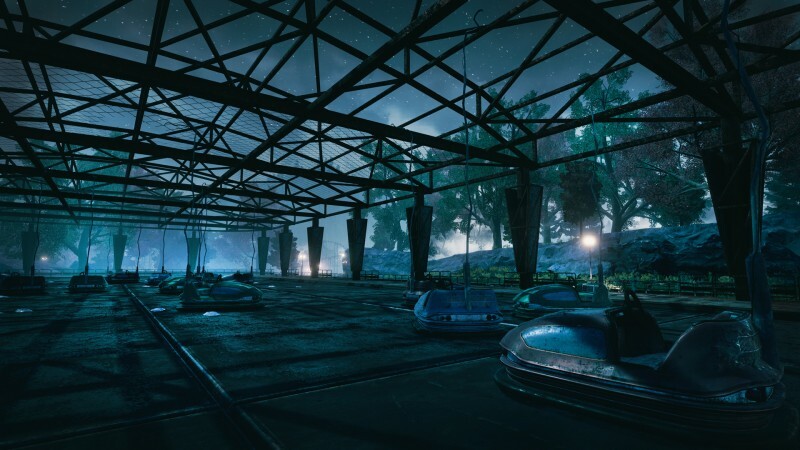 Funcom’s latest title is a first-person exploration game, structurally similar to Gone Home and Everybody’s Gone to the Rapture. You don’t juggle an inventory or solve puzzles to progress through its story, which you can complete in a couple of hours. Instead, you wander through the creepy grounds of Atlantic Island Park after close. Lorraine might not physically enter combat, but you soon learn that she’s battling a host of demons. Finding the bear isn’t as simple as walking up to the lost and found. Once inside the gates, Lorraine catches a glimpse of her son, Callum, running ahead on the path. He’s much faster than she is, and she loses sight of him. During the course of her journey, players follow the path forward, riding various attractions, reflecting on Lorraine’s shattered life, and picking up clues about Atlantic Island Park’s sinister past. It’s a slow start at first, with a swan-boat ride based on Hansel and Gretel. The story is told via voiceover and static, silhouetted vignettes. I can only imagine how bored kids would be on the ride in real life; I would have swam back to shore almost immediately if not for the fact Lorraine was glued to the boat for the duration. Fortunately, once the story is over – and the writers foreshadow much of what The Park is about – things pick up. Lorraine narrates, providing observations on the park and motherhood. It’s abundantly clear from the beginning that she’s an ambivalent mother, but as we learn more about her past and the park’s dark underpinnings, she becomes more sympathetic. As players learn more about Lorraine, they can pick up newspaper clippings and other notes that provide details on the park’s origins. 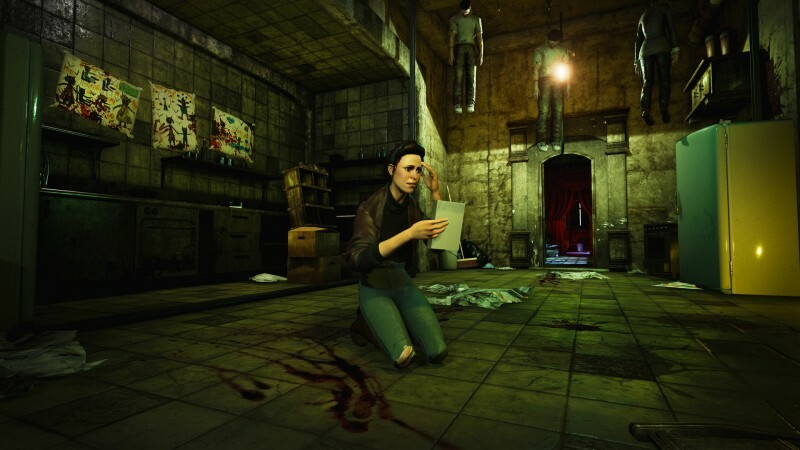 The game is tied to Funcom’s MMO The Secret World, but you don’t need to have a familiarity with that other universe to understand and appreciate what’s going on. Those players might recognize founder Nathaniel Winter’s name (and the Bogeyman), but aside from providing a few fun nods, it’s hardly essential background info. Lorraine becomes more desperate as the story progresses, and the world becomes more nightmarish. Pressing a button calls out her son’s name, and also highlights items that you can read and interact with. I ended up using it regularly to ensure I didn’t miss anything, and her tone changes from annoyance to concern to outright agony near the end. Lorraine’s narration is strongest when she’s at her most unhinged. She occasionally flavors her recollections with a phony-sounding tough-girl affectation, which I’m not sure is intentional or a quirk of the performance. 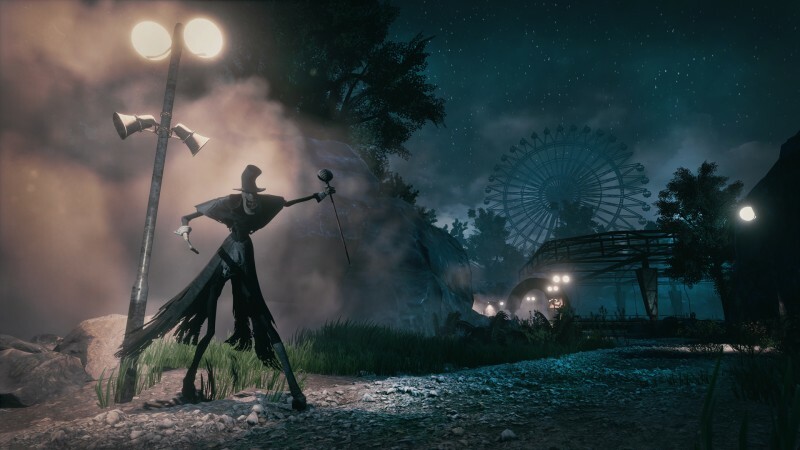 The Park is more unnerving that outright scary, though there are a few attempts at jump scares scattered throughout the game. It’s clear that Funcom has a few P.T. fans among its ranks, and a section that plays like an extended homage to Konami’s aborted Silent Hills project is one of the highlights. The ending is likely to be seen as either stunning or silly, depending on how much players have given themselves up to the story. I think it fits nicely, capping off an interesting – if not uneven – trip to the dark side. 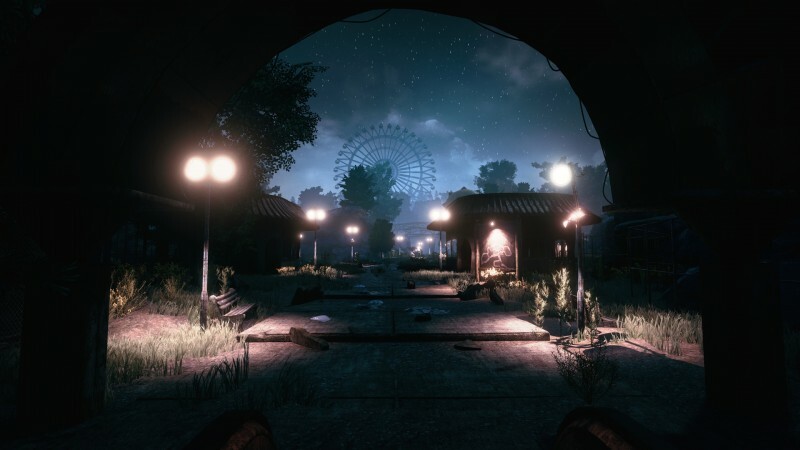 In The Park, players are in for a disturbing psychological ride that deals with depression, loss, and the dark feelings that parents might not discuss in polite company.